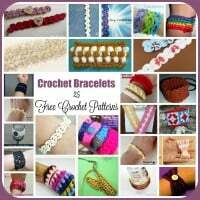 A little late this month for the Granny-Spiration Challenge by EyeLoveKnots. 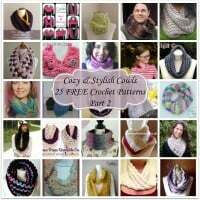 The cowl pattern makes for a nice stashbuster; it’s easy to adjust in size, thus allowing you to use any yarn you have on hand. And it makes for an awesome stashbuster as well! Finished Size: Laying flat it measures 12.75″ by 7.5″. Make 6, or as many as you want to increase the length. Fasten off CA on first square. 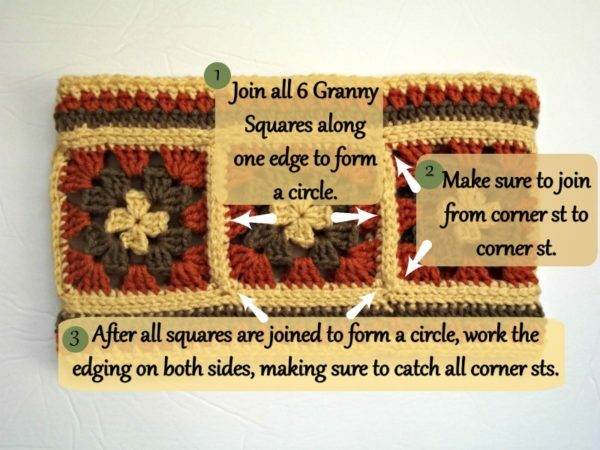 For all other squares, use CA to sl st one side of granny to previous square. Holding two grannies with wrong sides together and right sides facing out, sl st from one corner to the next corner going in under all four loops. 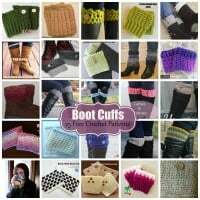 FO. Refer to image below. Note: The corner stitch is the middle st of the 3 sc sts made in corner ch-2 sp in Rnd 4. Once all squares are joined to form a straight line, take the last square and join it to the first in same manner as before to form a tube. Do Not FO, but continue with Edging below. Note: Make sure to end with an even number of sts in Rnd 1. Rnd 2: Ch 1, bpsc in same st as join and into each st around; join with sl st in first bpsc. [102 sts] FO. Rnd 3: Join CB with a sthdc in same st as where previous Rnd was joined. Hdc in next st and into each st around; join with sl st in first hdc. [102 sts] FO. Rnd 4: Join CC with a sthdc in same st as where previous Rnd was joined, hdc once more in same st (first cluster made), *sk next st, 2 hdc in next st; rep from * around; join with sl st in first hdc. [102 sts] FO. Note: Think of the 2 hdc made in each st as one cluster. For next Rnd, work your sts in sp between the clusters. Rnd 6: Sl st into next ch-1 sp, (sc, ch 1) in same sp and into each sp around; join with sl st in first sc. 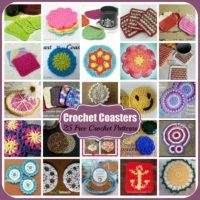 FO. Join CA to opposite edge and rep Rnds 1-6. 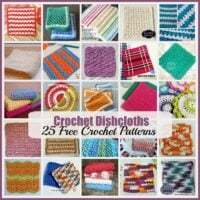 And now, please head over to EyeLoveKnots to view Alexandra’s pattern for the Granny Stashbusting Tissue Box Cover. 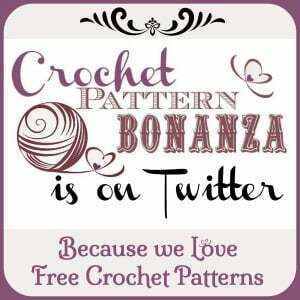 And also be sure to check out the giveaway for a lovely skirt pattern, a top and a cardigan! 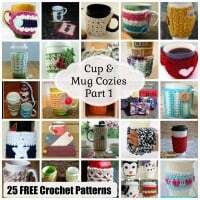 Last, but not least, check out more fall crochet patterns here: 21 FREE Crochet Patterns for the Fall. 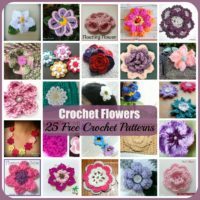 Or, head over to CPB for more crochet cowl patterns. 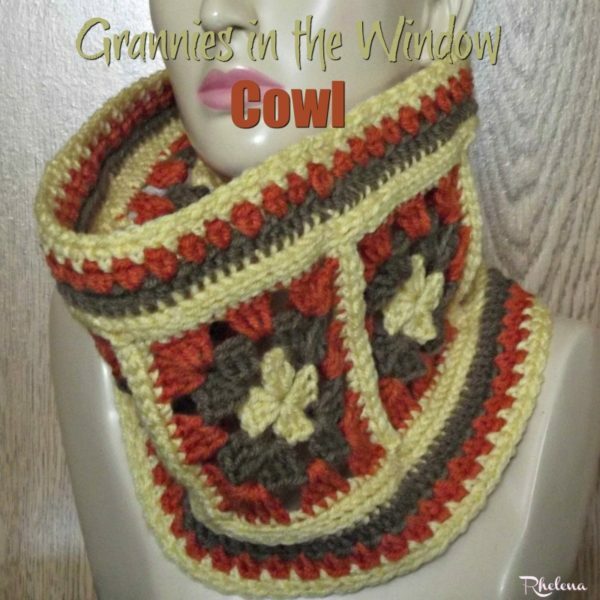 This is such a fun cowl! 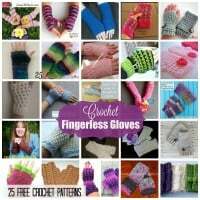 Fun to experiment with colors, great for stashbusting, and a skill builder with joining for those not well experienced with that technique. 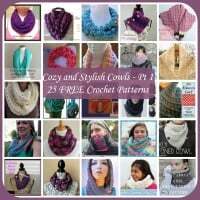 Great base idea too as you could just the same concept, and work an infinity scarf, or even work it as the cowl, and join up the top for a slouchy hat. Love it! And the warm colors chosen!